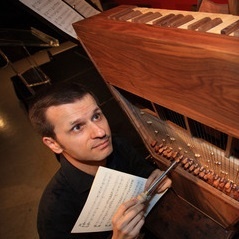 Borys Medicky performs widely as a harpsichord soloist and continuo player. 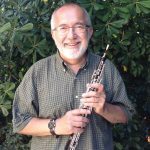 He co-directs the Toronto Continuo Collective, an all-continuo ensemble dedicated to fostering an increased interest in the stylish basso continuo accompaniment of seventeenth-century vocal and instrumental music. From 2006-2014, he was the Artistic Director of the Kitchener-based Nota Bene Baroque Players. He has served as organist of the Fifth Church of Christ, Scientist in Toronto for over a decade. Recently he joined the music faculty at Western University, where he coaches the early music studio. He also carries out harpsichord maintenance and repair duties for institutions and private owners, and completed his first harpsichord-building project in the autumn of 2009.